It’s important to manage your money effectively, but most people don’t have a good system in place. In fact, 70% of lottery jackpot winners lose everything and go broke within a few years. Why? Because traditional budgeting doesn’t work. It’s not flexible or realistic, it makes you feel guilty, and it’s just too limiting. Fortunately, there are some great forward-thinking budgeting tools that actually work, like Kualto Money Management. This seamless, web-based tool helps you organize, plan your expenses, and save more money. 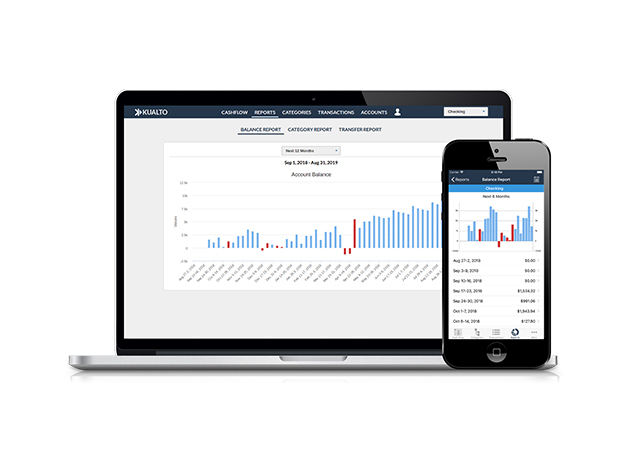 It uses forecast budgeting to see what’s due and predicts what your balance will be on any given week – up to three years in advance. For anyone who’s ever endured the tyranny of trying to fit a monthly bill into a weekly schedule, this program will be a revelation. Kualto also gives you bill reminders so you can make your payments on time and avoid late fees. And best of all, it does all of this without ever actually connecting to your bank account, so you can ensure that your money and your data stay safe. A lifetime subscription to Kualto Money Management normally costs $316.94 CAD, but you can get it for just $52.94 CAD.